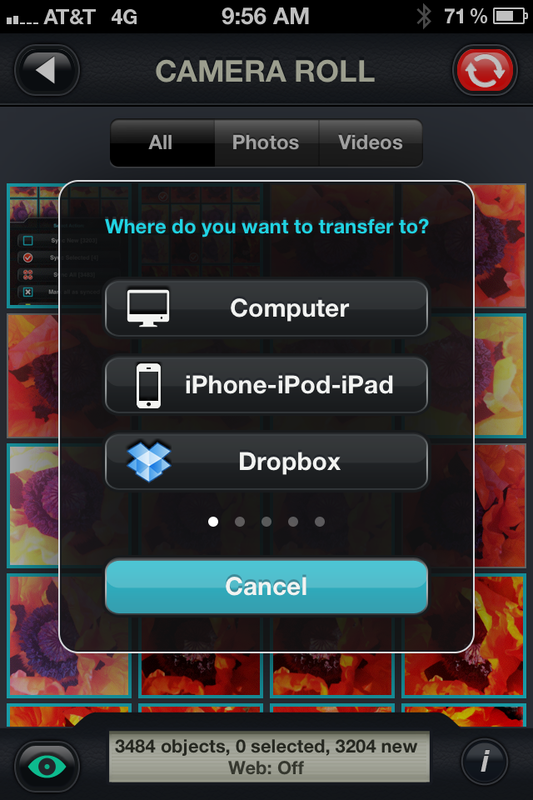 This week's question: Is is possible to transfer your images from your iPhone to your iPad via a Bluetooth connection? The application I recommend to transfer image from your iPhone to your iPad for processing is PhotoSync, currently it is the quickest and easiest for transferring high resolution images. 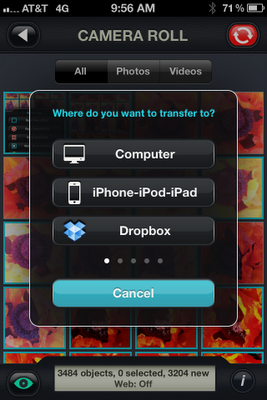 This application can also transfer to and from your computer, or from the iPad to the iPhone. There are other ways to transfer your images but many of them do NOT transfer or sync in high resolution, therefore they are not recommended for processing. Unfortunately the iCloud transfer between the iPhone and iPad is a downsized image and NOT recommended to use for processing. Before doing your first transfer please make sure you configure the settings under the 'i' . The application must be installed and open on both the iPhone and iPad before starting. 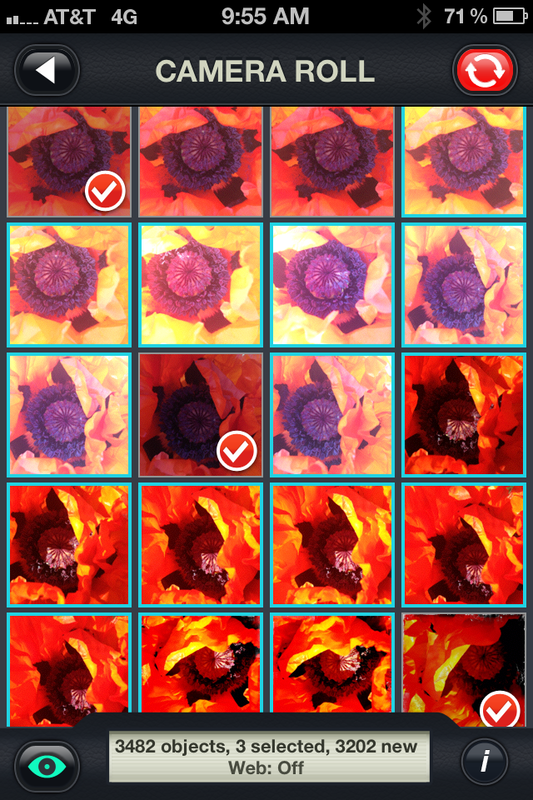 Select the images you want to transfer by tapping them. Then tap on the red button on the upper right. Now tap 'Sync Selected' (if transferring to your iPad. Now simply tap 'iPhone-iPod-iPad' and the application will begin transfering. 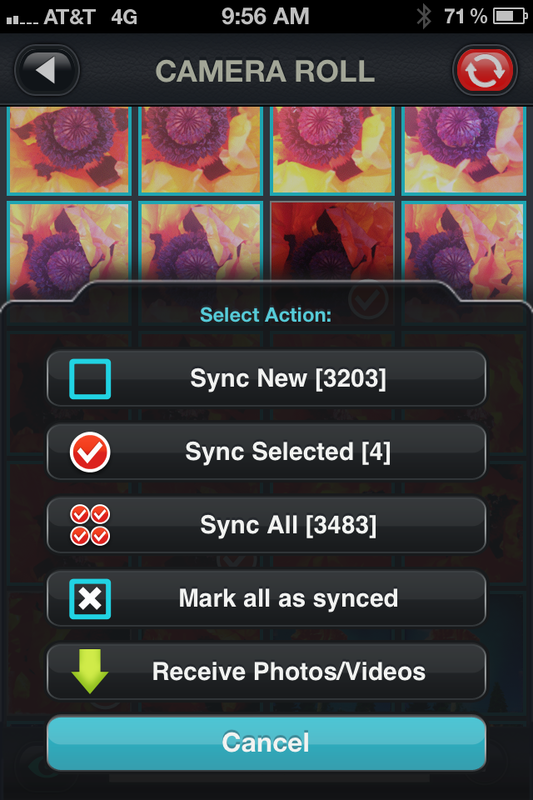 Please note there are many other places to sync your images to. When at the screen flick the screen to the right from many more options. Last day to sign up! TODAY online courses are starting. Join the fun and creativity! Thanks Teri Lou, especially with regards to the low resolution transfer from iCloud to the iPad. Bummer! I've been using PhotoTransfer without any problems since you recommended it a year ago. 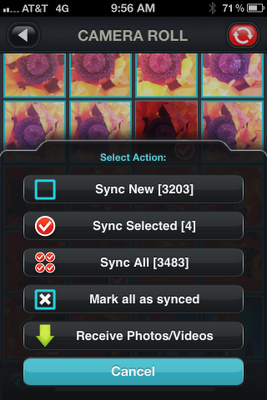 How does it compare to PhotoSync. I hadn't thought to check resolution, but will do that later.